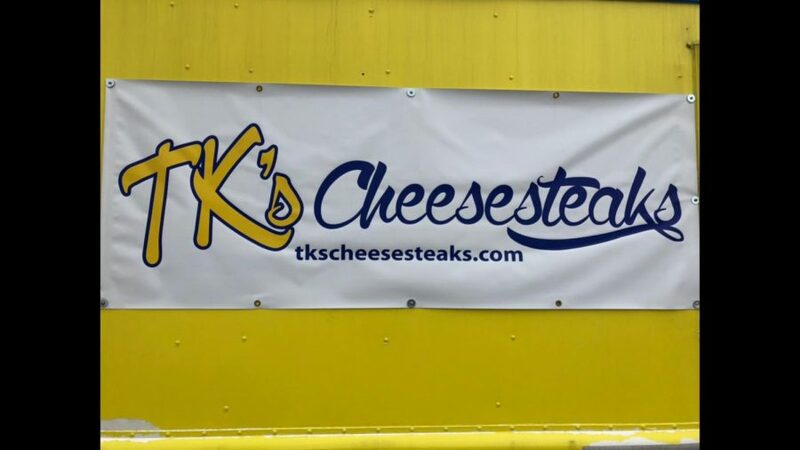 The newest food truck at the Mathews and Springfield intersection, TK’s Cheesesteaks has a unique Philadelphian menu, distinct from any of its nearby competitors. Alongside a wide variety of its namesake cheesesteaks, the truck offers traditional burgers, sandwiches, nachos, and fries. Everything on the menu tastes great, and the food quality has a consistency that some of the other trucks lack. While it won’t stack up to some of the higher-end restaurants on Green Street, TK’s is fantastic for a food truck. It may not be the best choice for picky eaters or those with very refined palates, but it is quick, simple, and accessible, and is a great option for many Uni students. However, one thing to keep in mind is that TK’s definitely seems to focus more on the flavor of the food than the presentation. Items often look hastily prepared, with squashed sandwich buns and excess food falling out of the containers. This can definitely be a big turn off, but the food itself should be delicious. It will rarely look Instagram-worthy, but the taste should not disappoint. Price is another area that the truck generally excels in; standard fries are one of the best deals at just $1.49 per order. Other items may lean towards the expensive side, but you definitely get what you pay for. Containers are always packed to the brim and sandwiches are stuffed as full as possible. The food is also very filling – you’ll rarely be hungry after eating at TK’s. You can’t go wrong with any item on the menu, but I would personally recommend trying the Fiery Philly Fries – topped with melted cheese, mushrooms, onions, beef, and jalapenos. The different ingredients all complement each other nicely, and I believe that the price of $5.49 is reasonable, if only a bit on the expensive side. The Jalapeno and Cheddar Burger is another favorite of mine, perfectly blending salt and spice into an affordable package of just $4.49. The burger is simple, topped only with jalapenos and cheese, but the beef is juicy and savory, and the jalapenos are of surprisingly high quality, providing the burger with a nice kick. Although it’s only been around for a couple of weeks, TK’s Cheesesteaks is quickly becoming a favorite of Uni students, and you should definitely give it a try if you’re a fan of American food.